Somebody compared this one to Twilight, and I'm going to have to agree... ugh. And again with the stupid line at the top. but I always thought the cover quite ugly. for a teen to read it, they need to find another book. Okay, well the cover itself is pretty but... um? 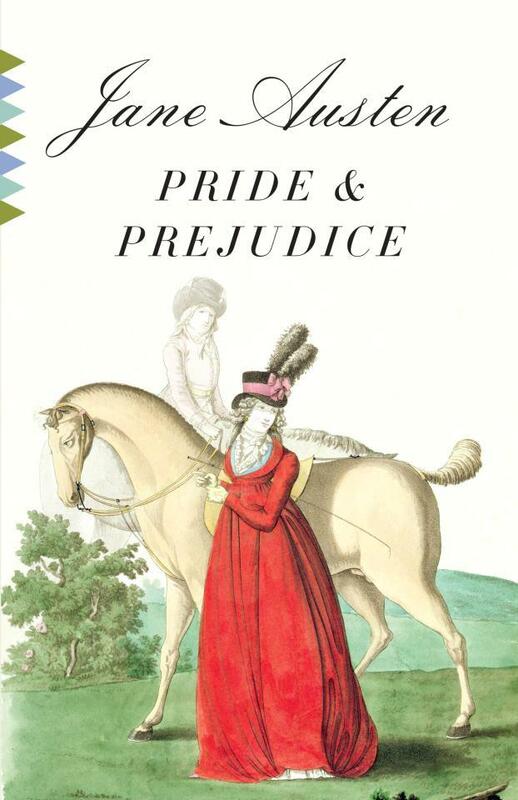 Since when is P&P a 20th-century novel? This one's a trick question. Sowwee, you can't vote on it. It has an unfair disadvantage. Ahhhh! the comment code is 221....I need a b! I would have to say that #1 is the worst. 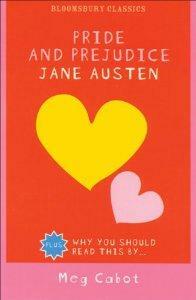 It's so not Jane Austen! Ughh! Frankly, it makes me sick looking at it! I really can't say I like any of them. The only one that came to a close like was the 2005 movie cover. Just not that impressive. So hard to choose! There are so many bad ones! I was laughing so hard at some. I think ultimately, the worst would have to be number 10. The reason why? 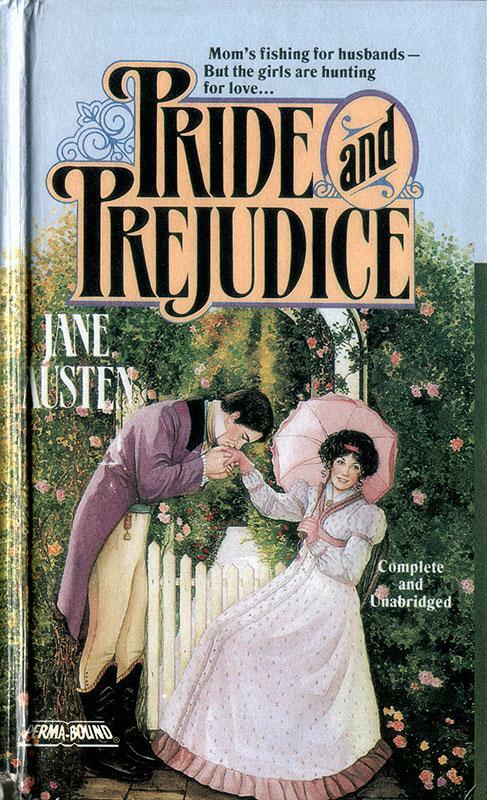 The cover seriously has NOTHING to do with P&P. 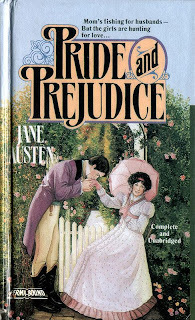 It looks a little more like lurid scenes from the imagination of Catherine Morland, only with a very 20th century slant! It looks like the cheap paper back cover done by an artist who probably hadn't a clue what the book was about! Number 3 & 1 come close seconds though. Number 3 just looks soooo modern! I laughed out loud when I saw it. 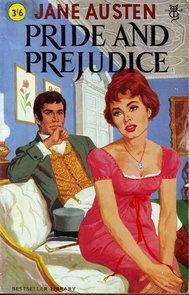 Mr Darcy & Elizabeth? yeah, right! As if! 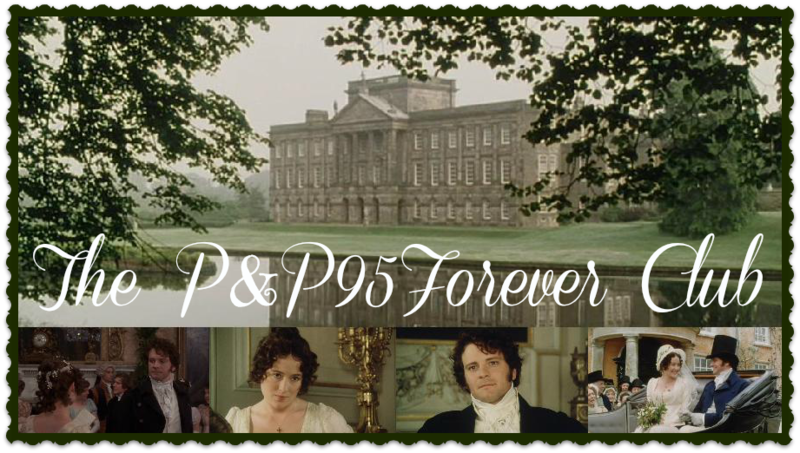 P&P in the 1960's!! And then I cracked up over the blurb on no.1. LOL! All pretty awful, but I winced worst at #1 and #10. Wowza. 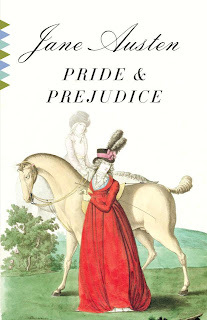 Way to make 10 look rather like a bodice-ripper type of book! ummm, yuck. JA would have hated it. I'm going for that...it's worse. #10 definitely. 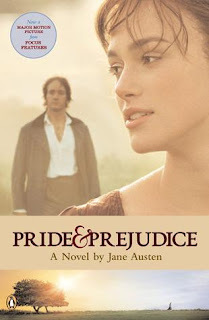 I dont recall Darcy ever leering at and grabbing Elizabeth in such an ungentlemanlike manner. Aooowww! It seriously WAS Twilight-inspired? That's just wrong! Yep, the one good thing about these is that they can make you laugh! I think 10 is the worst too... although I don't think that Catherine Morland imagined that sort of thing (although I know where you're coming from). I think her fascination and imaginings (and the novels themselves) were much more innocent than the movies make them out to be. Sliding panels, secret passages and mysterious pasts were what she liked so well. Ugh, the blurb on #1... just ugh. I know... 10 has got to be the most misrepresenting one. 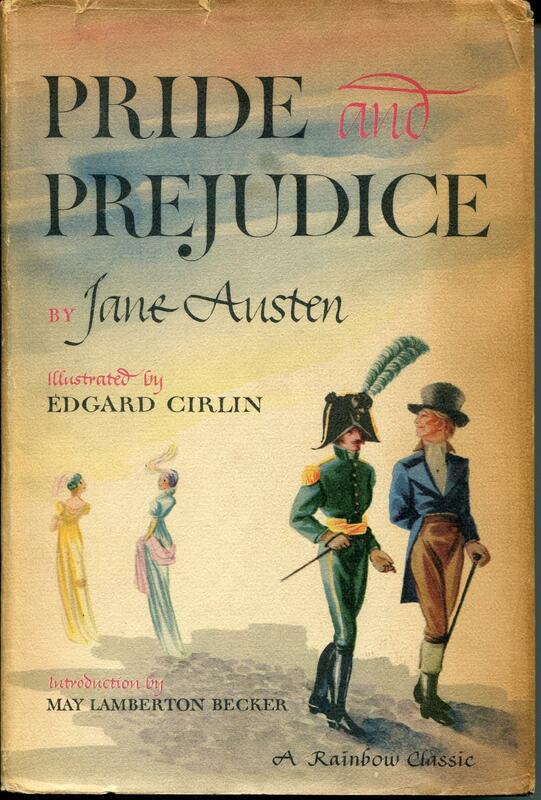 How anybody could put "Pride and Prejudice" on that cover I'll never know! Haha! O my! Each is funnier and more awful than the last! 3 and 10 are tied for worst, in my opinion! #10 has to be the worst although #3 ran it close. Oh wow, they're all pretty horrendous, but the last one is of course the worst by far! 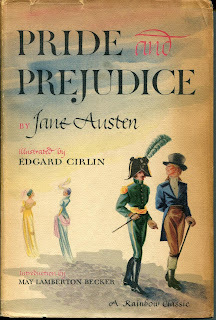 1, 5, 6, and 8 are all awful (well they're ALL awful), but my vote goes to 10 because I have NO idea how it relates to P&P in any way, shape, or form, and it looks exactly like a trashy grocery store romance. Ugh. 1. Ugh! Yes, the blurb at the top is too cheesy. 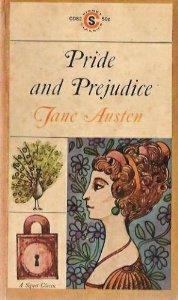 But hey, at least it's complete and unabridged copy! 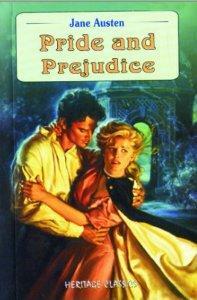 It looks just like a cheap historical romance though. 3. Yep, that's awful. Cheap 60's romance, much? 4. I would like to see the rest of the illustrations, too! This cover isn't too terrible. 5. This one is awful, though. YA fiction. 8. This looks even younger than teen... like they're trying to appeal to 11-year-olds or something. 9. 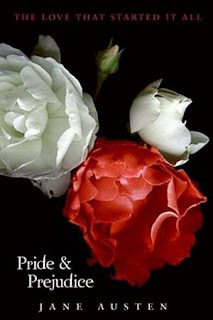 Looks like an "inspirational" romance. 10. And this one definitely looks like a really sleazy romance, with some horror and fantasy thrown in. Hideous! This is probably the worst. I laughed so much at this. By far the worst covers are number 8, 5, and 2 (in my opinion). Worst of them all, huh? So many to choose from.....Picking from 1,2,8,and 10, I would say 10.